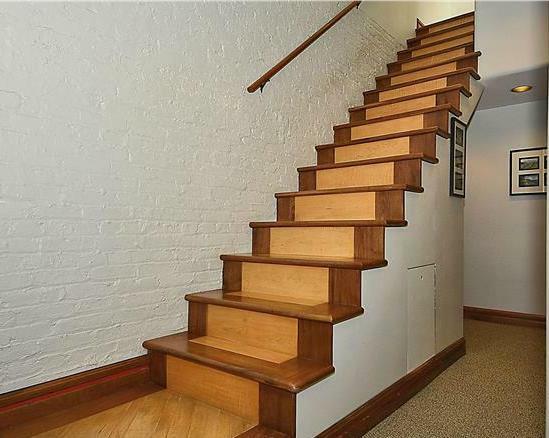 Bamboo stair treads are the horizontal surfaces of the stairs - the parts you step on. 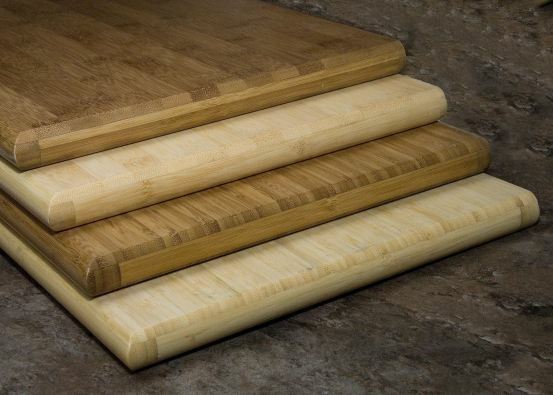 Most of our bamboo stair treads have three rounded edges - on the front, left and right sides. Most of our stair treads come as 4' pieces and can be trimmed on the sides to fit into narrower staircases. 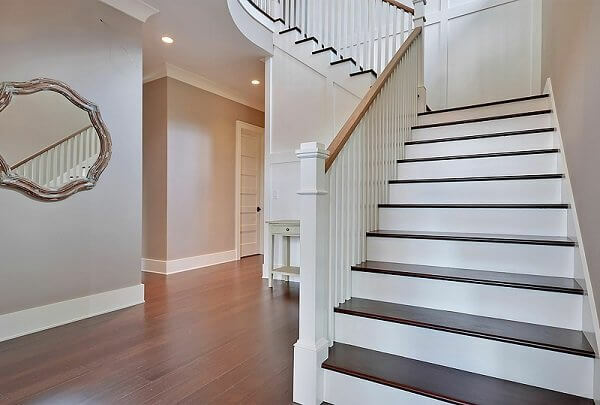 Our bamboo stair treads are available in natural, carbonized , and many other colors, and also custom colors designed to your needs. Bamboo carbonization is a heat treating process that offers no structural advantages but results in a richer color some prefer. Our classic (solid) bamboo stair treads are available with a vertical or horizontal grain. Also available are strand-woven treads, which are formed in a special process making them three times as strong as oak and mimicking the grain of traditional hardwood. 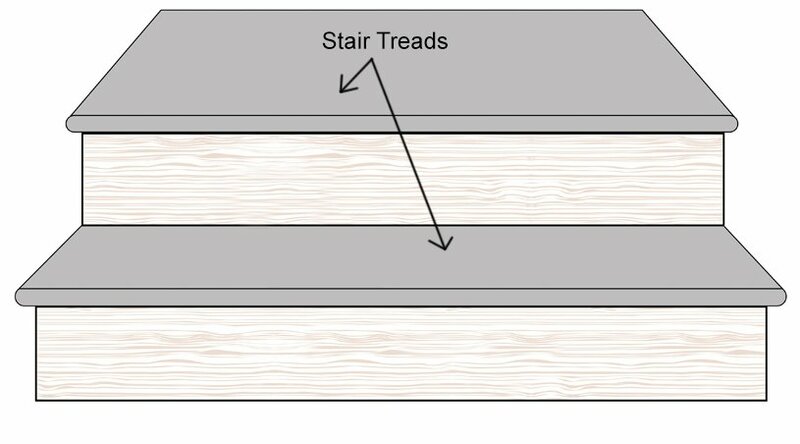 Bamboo stair treads can be easily installed using a non-water-based adhesive. Simply set the tread in place and lay a weight on top of it while the adhesive sets. You can also pre-drill and screw the treads into place. When you purchase bamboo stair treads from Ambient Bamboo Floors, you're supporting a company that has made sustainability one of its core values. All our bamboo is sourced from properly managed forests, making it a truly renewable resource. We are a proud member of the US Green Building Council, and our products have been independently tested to exceed national and international indoor air quality standards.